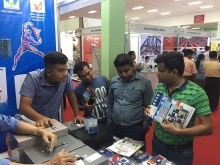 According to Director of the World Trade Organisation and Integration Centre under the Vietnam Chamber of Commerce and Industry, Nguyen Thi Thu Trang, 46.79% of businesses proactively studied information on the AEC. Among nearly 94% of businesses that know about the AEC, only 16.4% of them fully understand about the community, she said, attributing this shortfall to a lack of effective access channels that help firms to grasp relevant information on the market, partners and commodities. The launch of the portal at http://www.aecvcci.vn is expected to bring an insight about the AEC for businesses so that they can make good use of opportunities from the common market. First Secretary and Head of Political and Economic Section at the British Embassy in Vietnam, Andrew Holt affirmed that the AEC offered a valuable opportunity for Vietnam to promote exports and lure foreign investment. Head of the ASEAN Division of the Ministry of Industry and Trade’s Multilateral Trade Policy Department, Hoang Van Phuong called for prompt and efficient measures to boost exports to ASEAN. Vice Chairman of the Vietnam Chamber of Commerce and Industry, Hoang Quang Phong said in 2016 the Vietnamese Government has pushed ahead with comprehensive reform and has been ready for new integration commitments. 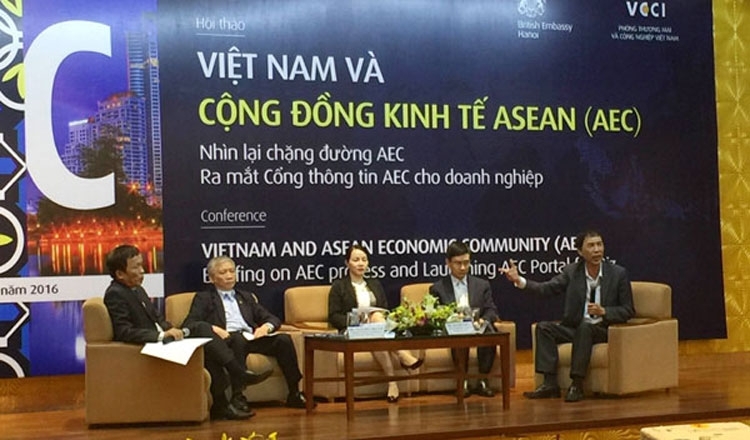 To implement four key pillars in the AEC, Vietnam has revised and promulgated new policies to realise commitments in specific sectors such as distribution services, banking, insurance, stock exchange, and telecommunications. 2016 was also a special year for the Vietnamese business community, with the revised Law on Investment and Law on Enterprises coming into effect. Additionally, the early adoption of the Law on supporting small and medium-sized enterprises is expected to support the legal framework and to improve the business environment.